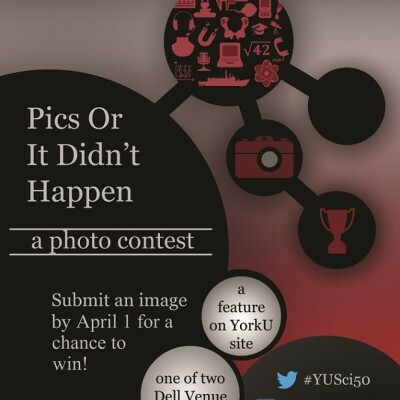 York University has been doing Science for 50 years! 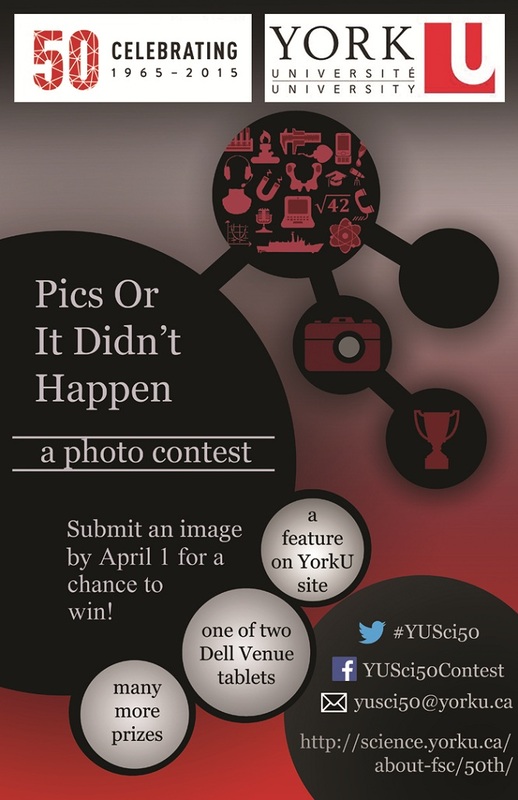 In order to commemorate this achievement, the Faculty of Science hosted a photo contest, Pics or It Didn’t Happen. Student, faculty and staff were encouraged to participate by capturing and submitting images that symbolize the sense of discovery that is such a major part of the history of the Faculty of Science. The winners of the photography contest were announced during the 50th Anniversary Gala. DESCRIPTION: Julia set fractal Description: where z = x + i*y, where x and y keep changing and a fixed constant d = -0.835-0.2321*i. DESCRIPTION: Translucence Description: During late afternoon, on a beautiful spring day of May 31, 2014, a unique leaf without any colour was discovered. 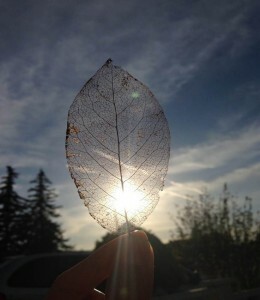 The leaf was transparent, except for the veins that passed through it. The leaf was discovered just lying on a plant that was very close to the ground. This leaf was unlike any that I had ever seen. So I decided to take a picture of the leaf in front of the setting sun, using the iPhone 5C. I believe this leaf has lost its pigments and that’s why it appears translucent.